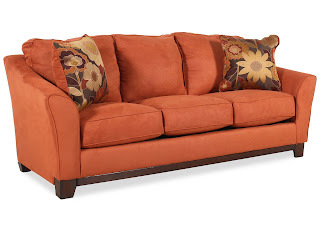 Since we finally get possession of our house this coming week, we went and looked at couches this weekend. And...we bought a new sofa and loveseat! Alan also got a chair to go along with it. Yay for new furniture! That's gorgeous!! Love the color! !